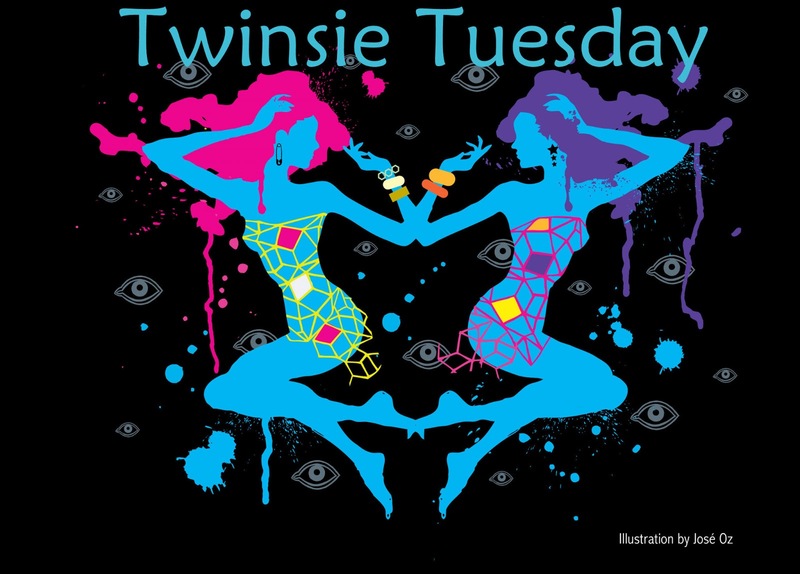 For today's Twinsie Tuesday we're hitting the rewind button, revisiting any theme we particularly enjoyed. I tried to get Husband in on the action again, but I think he felt he'd already spent his artistic genius on The Bee. I was so tempted to do the floral nails theme again, but I do flowers all the time, so..."animal inspired" it is! Last August I had a blast trying to recreate the poisonous dart frog. This week I decided to go tropical fish. Specifically, this little dude. ...not that I'd have the first clue where to start if I'd meant to do something remotely Van Gogh on purpose! I'll take it, though. And it's still animal inspired, even if it didn't wind up in quite the same place it started. 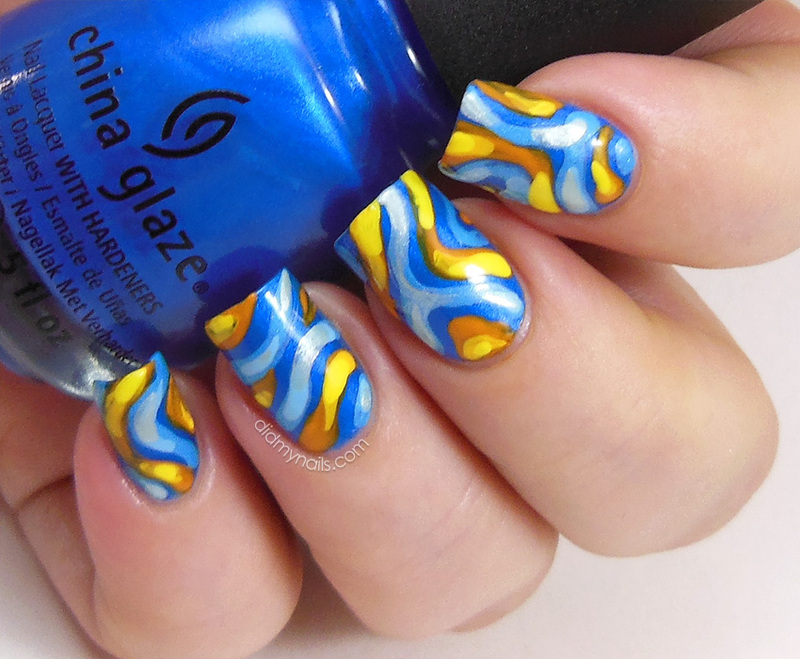 The base for these is China Glaze Splish Splash, which in addition to being brightly neon also has an amazing shimmer to it, which I tried to carry over to the acrylic paints, mixing in some silver and gold. Aaaand that's just about all I can think of to say about these because I'm still not quite sure what to make of them! They were a blast to do, though, and it was good to try something so different again. I really do enjoy getting outside my comfort zone once in a while! Can't wait to see what themes everyone else decided to revisit this week! Elizabeth these are seriously amazing!! This is so, so beautiful - and a great inspiration! this is unreal! the colos and the design are so gorgeous! This is so awesome!!! I love the colors! I remember your frog nails--they were the post I saw that made me start following you. 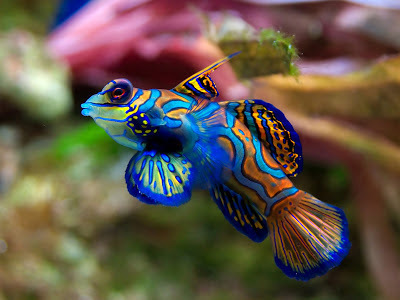 Mandarinfish have always been one of my favorite brightly colored animals, and I think these nails look really awesome! THis is Gorgeous! You managed to capture the shines of the fish scales so beautifully! I love it! WOW Elizabeth. I am seriously in awwwwww! Oooo, this is amazing! I love how you used different colors to create a 3D effect, it's really stunning, Elizabeth! Love the colors, such a bright and happy mani! Looks pretty magnificent too! Utterly amazing, as usual!! You always rock it with your fab nail art!! You are a wizard! These are so awesome Elizabeth! Great work as always. It's hard to get the husbands excited about nails most of the time isn't it? Hehe! I love it! Great inspiration and lovely outcome :). I used to have two of these fish, so of course I LOVE that you used one for inspiration. It looks gorgeous! Nicely done! I love the TT menagerie you've created! Geez, this is soooo cool! One of my favourite courses in university was Invertebrate Biology so when I saw the picture of the fish in my feed, I HAD TO SEE what you had come up with! 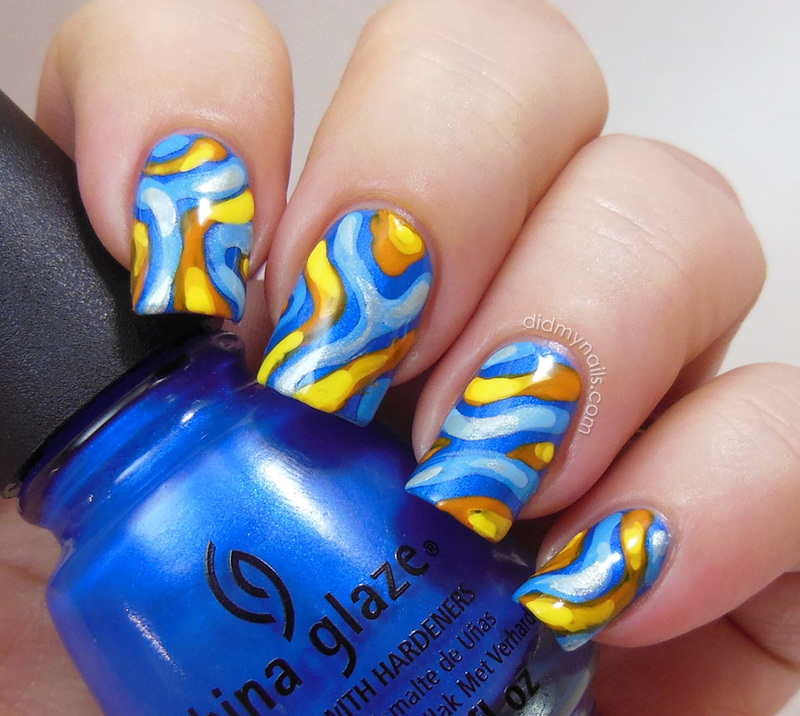 I love how bright and colorful this mani is! I love the inspiration behind it too. I think it turned out great! This mani is AMAZING! I just had to pick my jaw up off the floor. I hope you wore this for at least a few days! Accurate or not this is amazing!